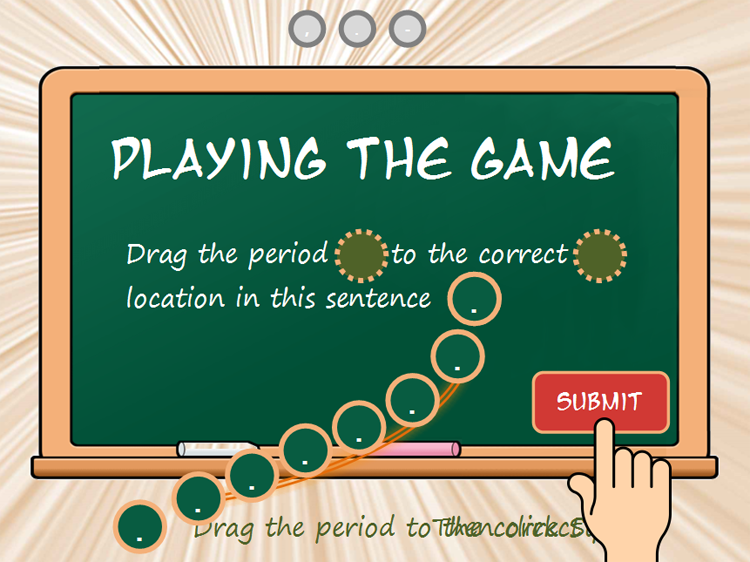 This ELH Challenge involved creation of games to improve punctuation and grammar. I decided to go with a manga theme for this game. I obtained public domain vector images of a manga character at a blackboard via pixelbay. In order to add to the feel of the game, I searched freesound.com for manga related audio samples and used these for atmosphere and playback during the feedback screens. To successfully complete three punctuation challenges. 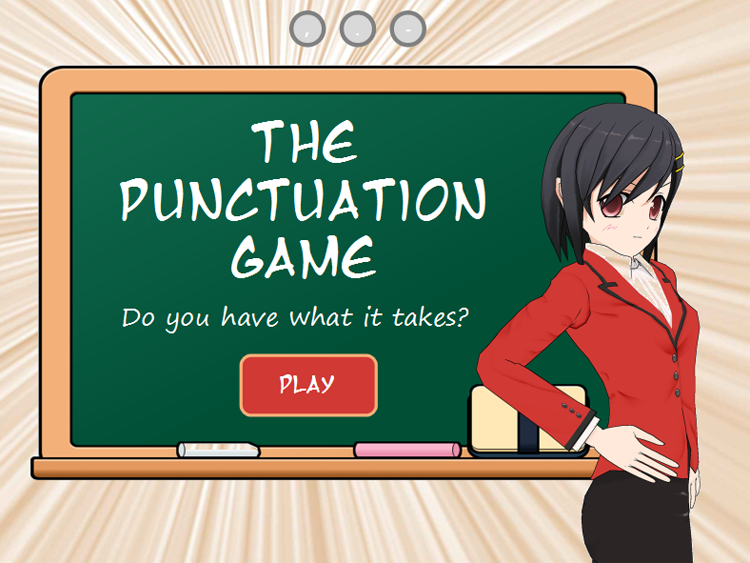 The player is presented with a sentence and has to drag the appropriate punctuation icon to the correct location. The player is sometimes presented with more than one punctuation icon to choose from. The correct icon has to be selected and dragged to the indicated area. When a challenge is successfully completed, the game icon at the top of the screen turns green. If the player fails a challenge, the game icon turns red. An audio clip is played dependant on the player’s selection. At the end of the game, if the player gets at least one icon red, they are presented with an option to try again. If the player wins the game by getting all three icons green, a congratulatory message is displayed. The game starts with a demo of the interaction. A simulation of the drag and drop action is shown with an animation of an icon being dragged across the screen to a drop target. A hand is then shown to demonstrate the use of the submit button. The game starts with the first of three grammar challenges. Click below to play the punctuation game.